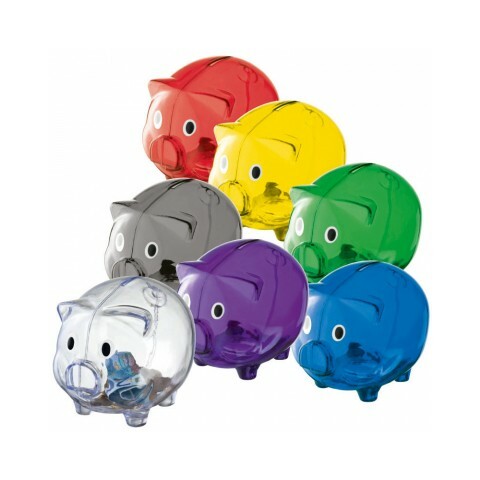 We have a range of custom printed Money Boxes and piggy banks all designed to carry your design. 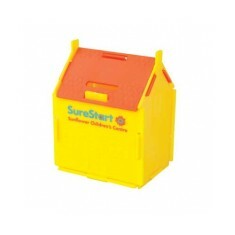 Keep all your leftover pennies and extra pound coins safely stored together in one of these promotional Money Boxes! They make great holiday funds, night out savings or treat yourself stashes. Perhaps you love the branded Piggy Banks and can’t wait to start bringing home the bacon, or maybe you’re looking to help the children save for sweeties in their customised Teddy Money Box. Whatever your reason, we have plenty of choices here at MoJo. 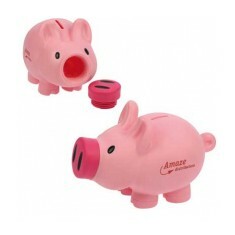 Custom printed money boxes are outstanding ways to encourage everyone from infants to adults to start saving. Ideal for banks, schools and building societies, your name is sure to be spread out in front of your clients with every extra penny they save. Some of the most popular money boxes in our range are the custom printed Piggy Banks, but we love our personalised Teddy Money Boxes. 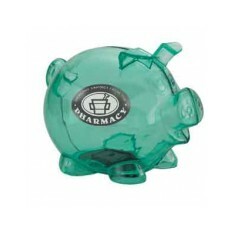 These fellows are excellent alternatives to piggy banks that are available in 3 different translucent colours so you can see your pennies as you save! These are a great way to get on your way to saving for your next big spend. Got a giveaway event coming up that you have ideas for? Get an ideas board going so you can save all your favourite items in one place. Build your own moneybox with our House Moneybox Self Assembly! This popular se..
Each bank supplied with key. 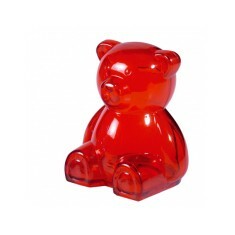 Available in translucent red, blue or green. Pinch the pennies, and save them up for a rainy day... or at least until there..